BUCHAREST (Romania), November 12 (SeeNews) - Liberty House Group plans to invest 300 million euro ($338 million) in its recently-bought steel mill in Romania's Galati, the Romanian government said. "The plant has a great infrastructure and with a good investment strategy, it can be positioned as a successful business in the region. 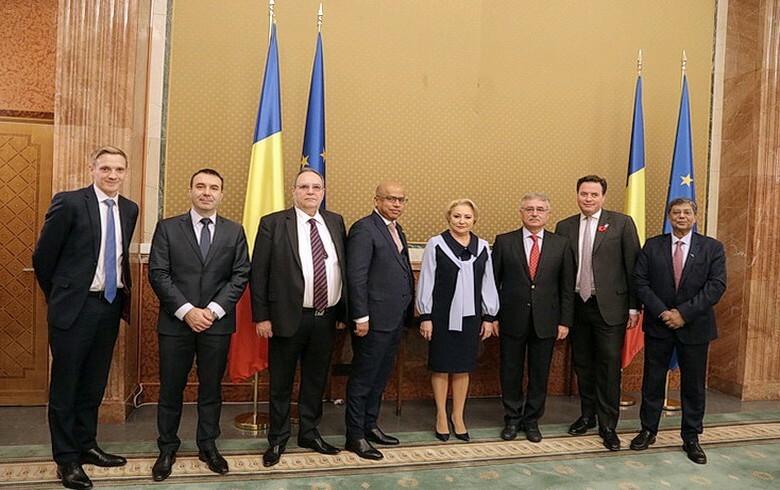 We want to increase steel production from two million tons to three million tons per year and we plan to invest 300 million euro to re-start another blast furnace," the government quoted Liberty House president Sanjeev Gupta as saying during a meeting with Romanian prime minister Viorica Dancila on Friday. "At the same time, we will invest in education, sports and arts," Gupta added, according to a government press release. The president of Liberty House also highlighted the need to improve transport infrastructure, especially in the area of the Danube ports as well as in the railway system. Also, Dancila and Gupta agreed to work together on attracting European funds, particularly in innovative segments or in reducing greenhouse gas emissions. "Your investment is very important to us, because its success is also a success for our country. I hope that in the coming period you will strengthen your investment in our country and focus on research and innovation. Romania is a country with an economic growth of 7% and this year we have adopted more regulations that are friendly to the business environment," Viorica Dancila said. In October, Luxembourg-based multinational steel manufacturing corporation ArcelorMittal said it has received a binding offer from Liberty House for a package of divestments which includes Romanian and Macedonian assets. The deal is expected to be finalised at the beginning of next year. Formerly known as Sidex Galati, it was bought by LNM Holdings NV in 2001 from the Romanian state, for 70 million euro. In 2004, it became part of Mittal Steel, a company created by the merger between LNM Holdings NV and Ispat International. Two years later, following a merger between Mittal Steel and Arcelor, Sidex became ArcelorMittal Galati. Liberty House Group is an international business with main interests in commodities, steel and advanced engineering products and solutions with over 19,000 employees worldwide.